Not awkward at all. Nope. There’s nothing more rebellious than posing on a magazine cover with someone who might be your ex at a later time. Case in point, Chloë Grace Moretz and Brooklyn Beckham, who appear on Teen Vogue’s October/November 2016 issue, also known as its “Hollywood Rebels” issue. The cover shoot (by Bruce Weber) and accompanying interview (conducted by the great Julianne Moore) likely happened shortly before Chloë and Brooklyn split up, as she refers to him as “my boyfriend” in the piece. 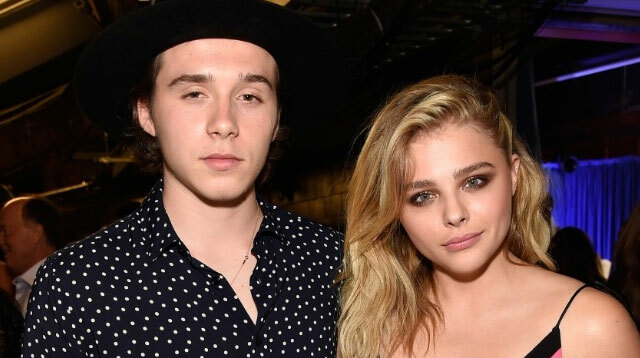 So read these quotes with a box of tissues, grain of salt, or some healthy mixture of both, depending on how sad you are about Chloë and Brooklyn’s relationship status. Read the full interview here, before or after you cry about the fact that Chloë and Brooklyn’s relationship did not withstand space and time.